Maj. Kenny Walthers, left, and Sgt. Maj. Jim Bishop take a break in their camp during the reenactment of the Battle of Decatur at Point Mallard Park. 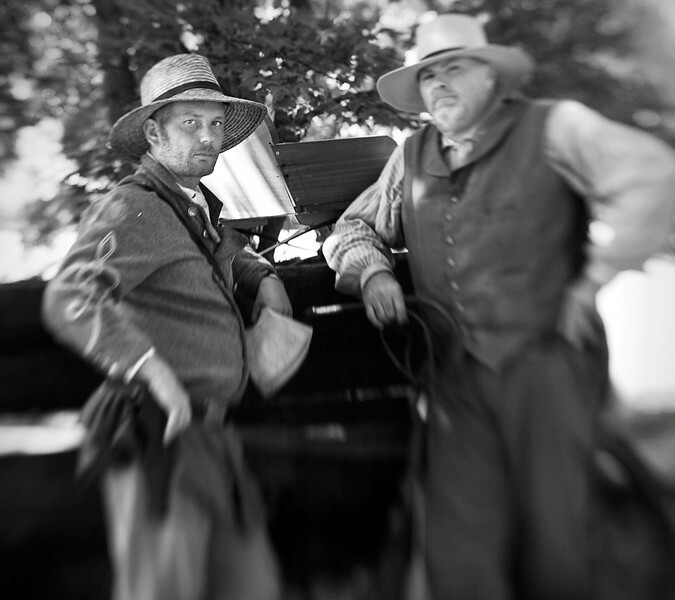 This portrait was taken using a "lensbaby."